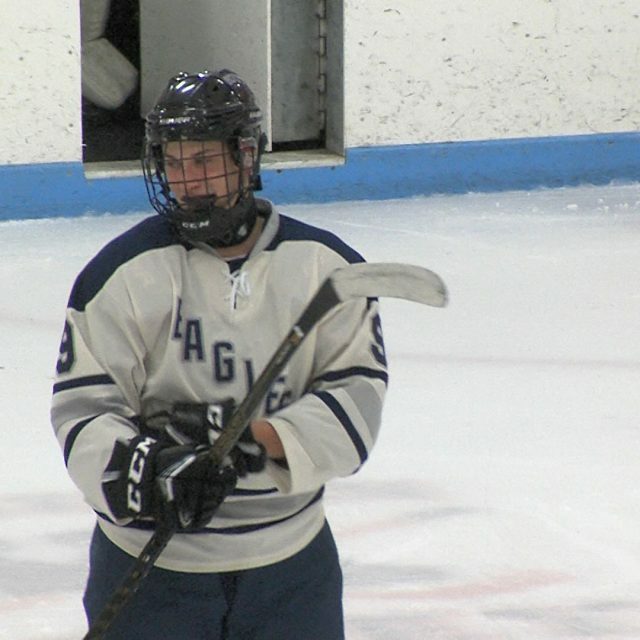 Middletown South 5 Wall 2 Joe Ciervo scored a pair of goals and including the game tying goal and Sean Asaro delivered the game winner as part of a four goal outburst in the third period to give the Eagles a come from behind victory. Wall scored a pair of second period goals from Dan Mitrione and Bobby Seelinger to take a 2-1 lead heading into the third. 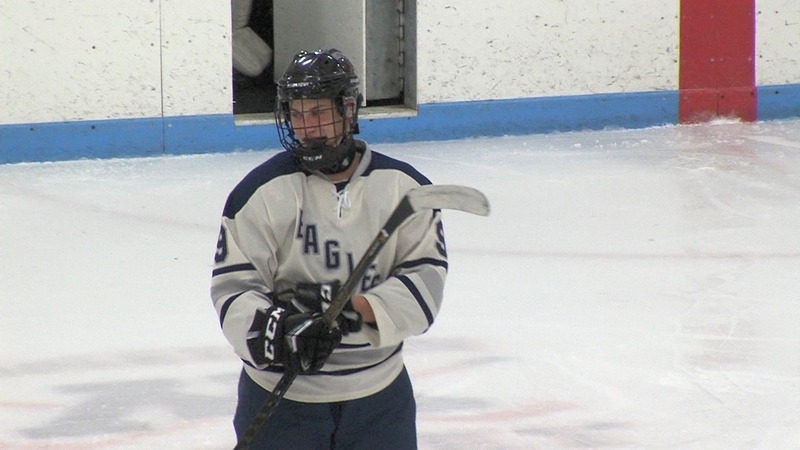 Ciervo’s power play tally knotted the game and sparked four goals by the Eagles in the span of 4:52. 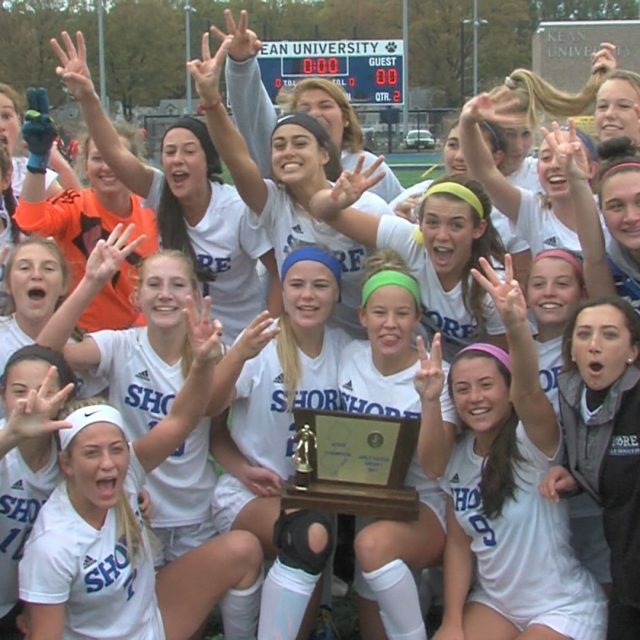 Watch the highlights from the Shore Conference at Middletown Ice World: A special thanks to Monmouth Building Center in Shrewsbury for sponsoring JSZ’s coverage of Middletown South! 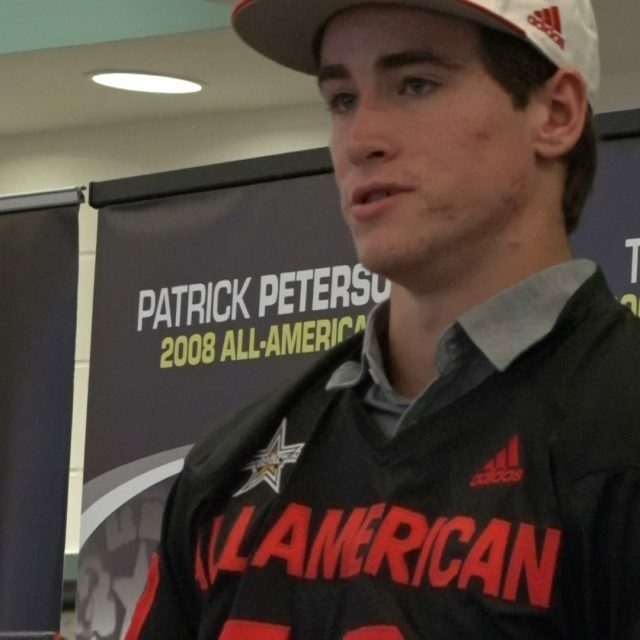 Wall High School Long Snapper and North Carolina State commit Joe Shimko is ranked 4th in the Rubio Long Snapper Rankings for the Class of 2019, and on Thursday, he was presented with his All-American Bowl jersey. The Top 100 High School Football players are chosen to play in the Bowl, and Shimko is the first Wall football player to receive this honor. A long snapper is a niche player, and Joe has been working on perfecting his craft for two years. Shimko says he wanted to get playing time his sophomore year, and he thought the position as a long snapper would give him that opportunity. 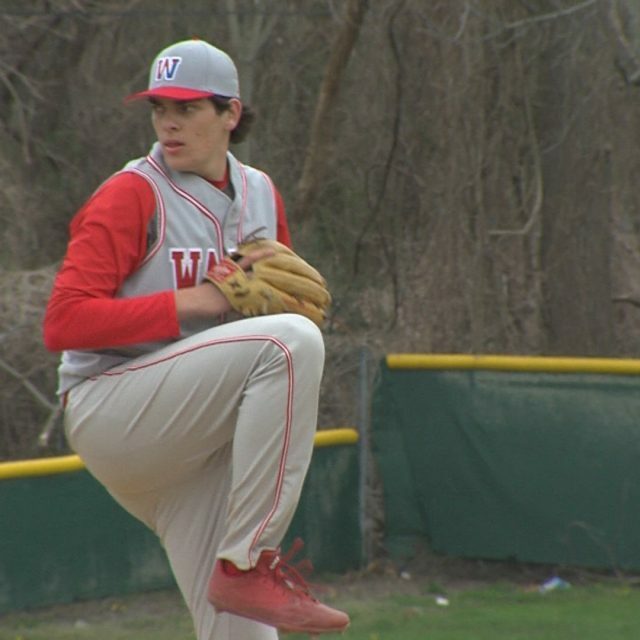 Joe’s friends, family and teammates gathered on Thursday morning for his ceremony at Wall High School to share this special moment. 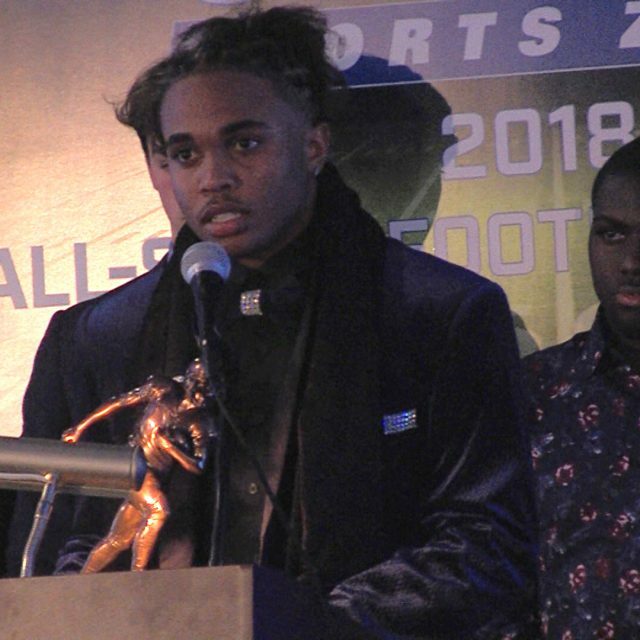 JSZ’s Madison Bess has the story: JSZ has been there for each of the New Jersey All-American Bowl jersey presentations so far this week: Penn State commit and Hun School offensive lineman Caedan Wallace, Alabama commit and Colonia defensive end Antonio Alfano and Shimko. 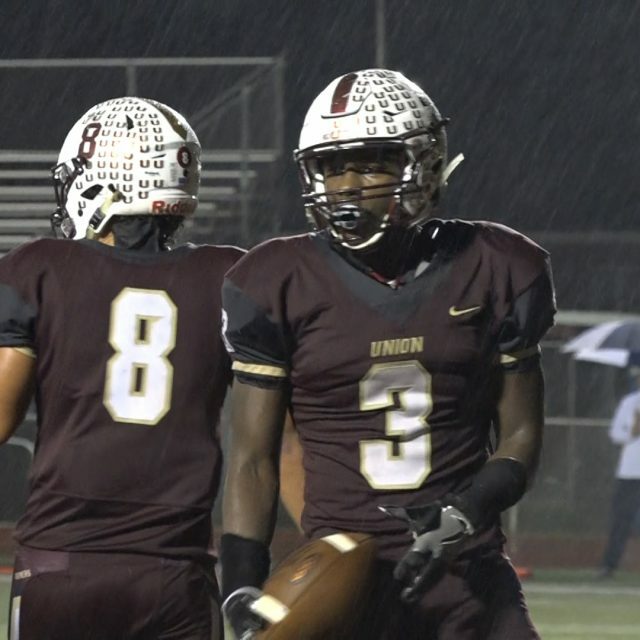 Tomorrow JSZ will be at DePaul Catholic for WR/DB Ronnie Hickman’s ceremony. 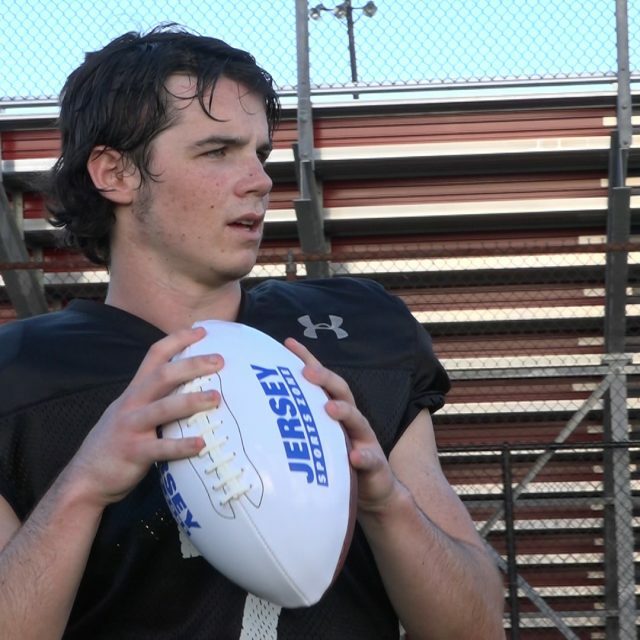 Stay tuned for more great football coverage from Jersey Sports Zone the rest of this season! Rumson-Fair Haven 9 Wall 6 – South Jersey Group 2 Boys Semifinals Kiel Forlenza scored three straight goals in the third quarter to give RFH a second-half cushion they would never relinquish. The Bulldogs will host #8 seed Somerville in the South Jersey Group 2 Finals on Saturday. JSZ has highlights from Tuesday night in Rumson: Jersey Sports Zone’s coverage of Rumson-Fair Haven is made possible by our friends at ServPro of Eatontown-Long Branch Watchung Hills 17 Westfield 8 – North Group 4 Boys Lacrosse Semifinal Westfield and Watchung played a tight first quarter, but a offensive explosion form the Warriors became unstoppable in the second half. Gavin DeFuria, Chris Clintock, Brian Richmond and Joe Rica all score hat tricks, and Watchung Hills is now on their way to the North Group 4 Final. Check out highlights of this game now: Sponsor Alert! Coverage of Westfield is brought to you by Assemblyman Jon Bramnick. Thanks to this sponsor JSZ can bring you great Blue Devil highlights all year long! Allentown 15 Jackson Liberty 4 – Central Group 3 Semifinals – Girls No. 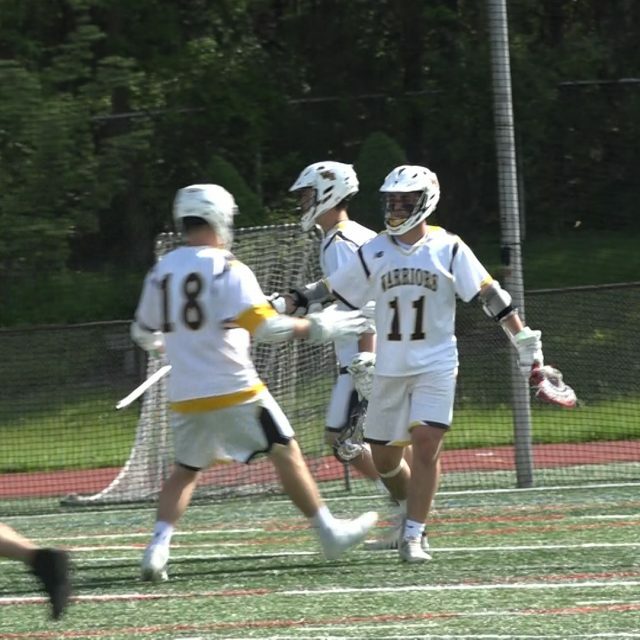 12 in the NJ Top 20 Allentown in route to their second straight Central Group 3 Title Game after a dominating 15-4 win over fourth seed Jackson Liberty. The first seeded Red Birds were led by Rutgers bound Senior Marin Hartshorn who had 2 goals and 4 assists. Allentown will rematch fellow Top 20 team, second seed Notre Dame. The Irish beat them in the big game last season, but so far this year the Red Birds have ND’s number beating them twice in 2018. One of those coming in the regular season and then in the Mercer County Tournament semifinals. Watch the highlights now: Sponsor! Thank you to Princeton Orthopaedic Associates for sponsoring our Allentown coverage year- round on JSZ! Delbarton – 9 Mountain Lakes – 5 | Morris County Championship The Delbarton School came into Tuesday night’s Morris County Final boasting 5 consecutive County Championships to go along with a current No. 1 ranking in The NJ Top 20. Despite that, the Green Wave was still able to find motivation in an underdog mentality. Seeded No. 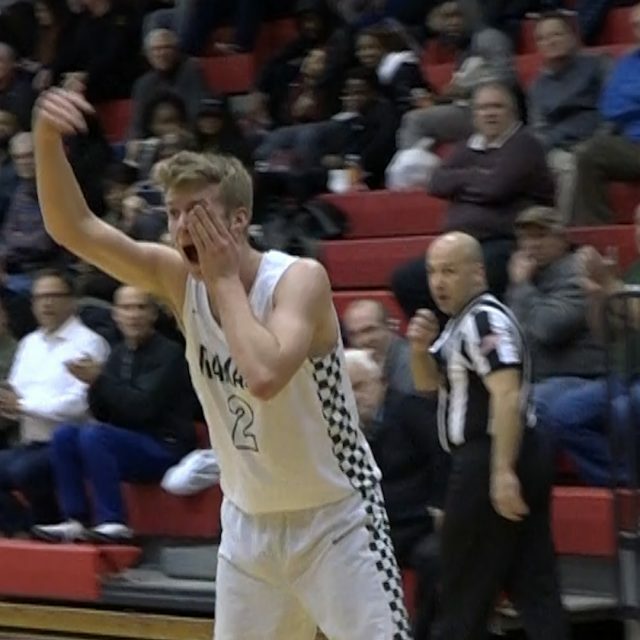 2 behind Mountain Lakes in the tournament, Delbarton was out to prove that it was once again the very best in Morris County. 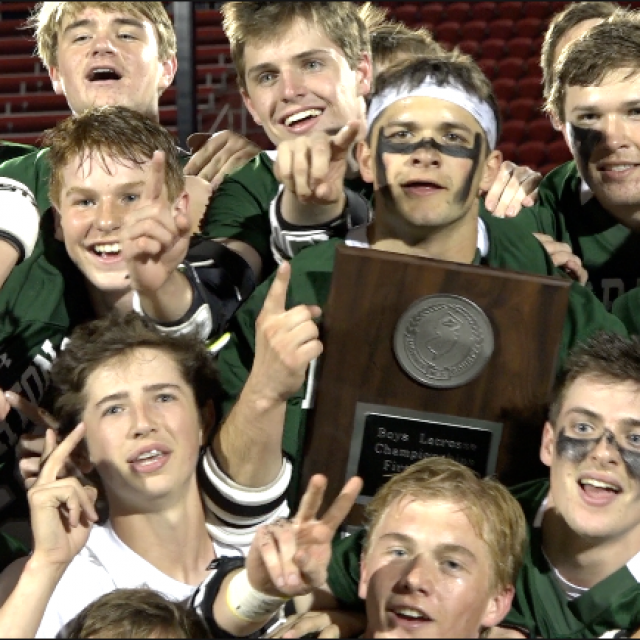 Michael Long scored a hat trick, and Yale bound goalie Miles Leniw had an incredible 14 saves, as The Green Wave made it a six-beat, taking down Mountain Lakes 9-5 to capture the Morris County Crown. 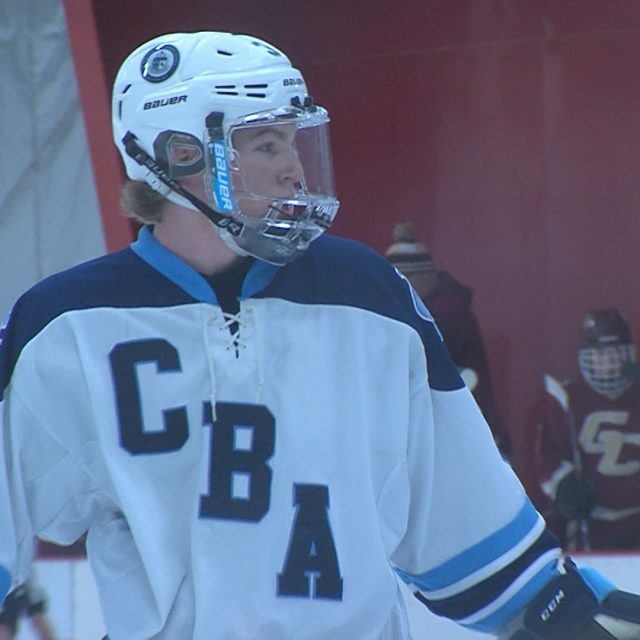 Watch highlights and post game of Delbarton and Mountain Lakes on JSZ! 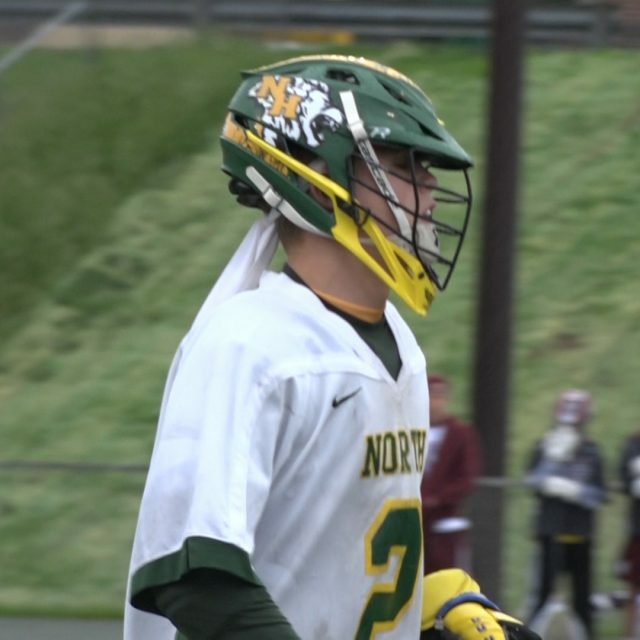 North Hunterdon 12 Phillipsburg 11 (OT) – Boys LAX H/W/S County Quarterfinals Looking for an exciting county tournament lacrosse game? Check out this overtime thriller! 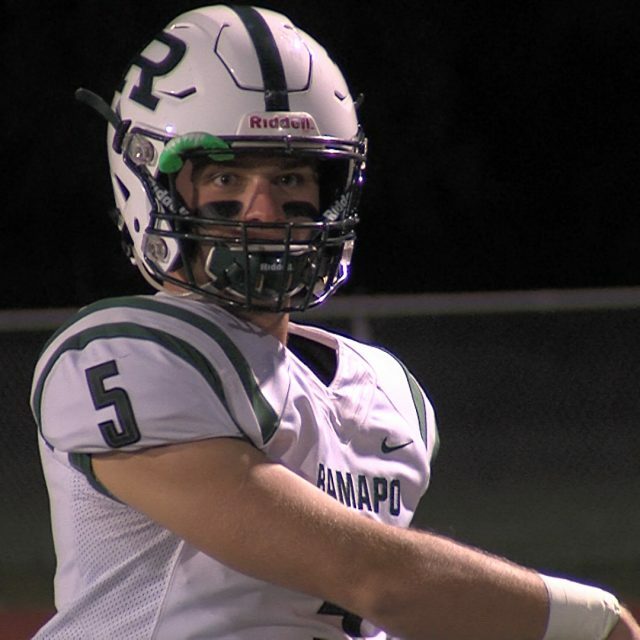 North Hunterdon and Phillipsburg ride a roller coaster of emotions in this one, but it was the Lions who came away with the win. 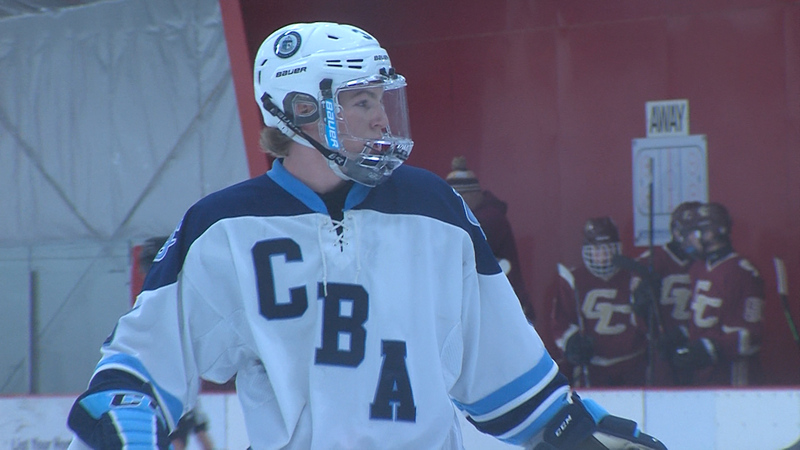 The McMahon twins combined for a total of 8 goals, including the game winner in OT. Check out highlights of this exciting game now: Sponsor Alert! Coverage of Phillipsburg is brought to you by the Garnet Booster Club. Thanks to this generous sponsor JSZ will bring you exciting Liner highlights all season long! Rumson-Fair Haven 10 Wall 9 – Shore Conference Tournament Quarterfinals Peter Lucas scored a pair of goals including what proved to be the game-winner as the RFH Bulldogs were able to make a last-second defensive stand to give them a spot in the SCT semifinals and a date with #1 seed CBA. Wyatt Feinberg led the RFH attack with four goals. 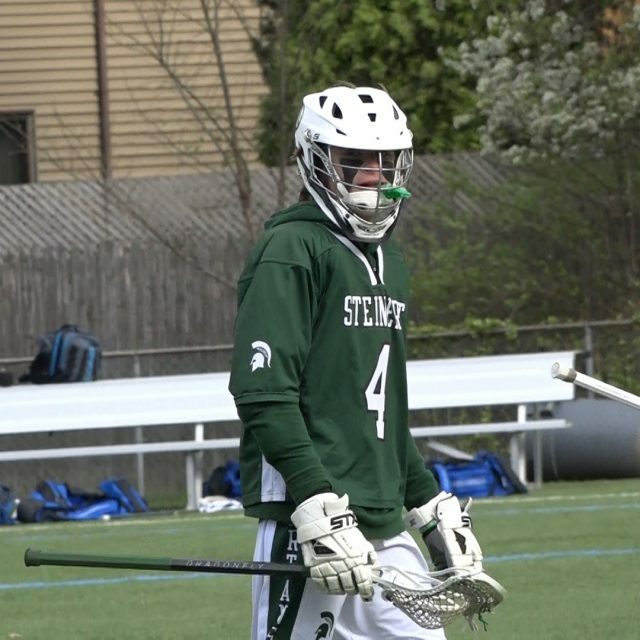 Wall was led by Jack Textor and Will Forte who had three goals apiece. Watch the highlights from a great quarterfinal showdown in Rumson: Thanks to ServPro of Eatontown/Long Branch for sponsoring JSZ’s coverage of the Rumson-Fair Haven Bulldogs Red Bank Catholic 10 Freehold Township 5 – SCT Girls Quarterfinals Abi George scored back to back goals in the span of 48 seconds to give the Caseys a second-half cushion and earn a spot in the Shore Conference semifinals. The #2 seed will face #3 Manasquan on Thursday in the SCT Semifinals at Ocean Township High School. Kristen Pezzullo had a five-point game with a goal and four assists. Mackenzie Boyle and Grace Gargiulo both scored hat tricks to help the Caseys reach the 18-1 mark. JSZ has highlights from Red Bank; Jersey Sports Zone’s coverage of Red Bank Catholic is made possible by Playa Bowls of Red Bank Allentown 5 Notre Dame 2 – Mercer County Semifinals Girls The second meeting between second seed Allentown and third seed Notre Dame did not disappoint as fans were treated to a tight defensive battle that also featured some dominating scoring from the Red Bird’s three sport standout and Rutger’s Girls Lacrosse commit Marin Hartshorn. 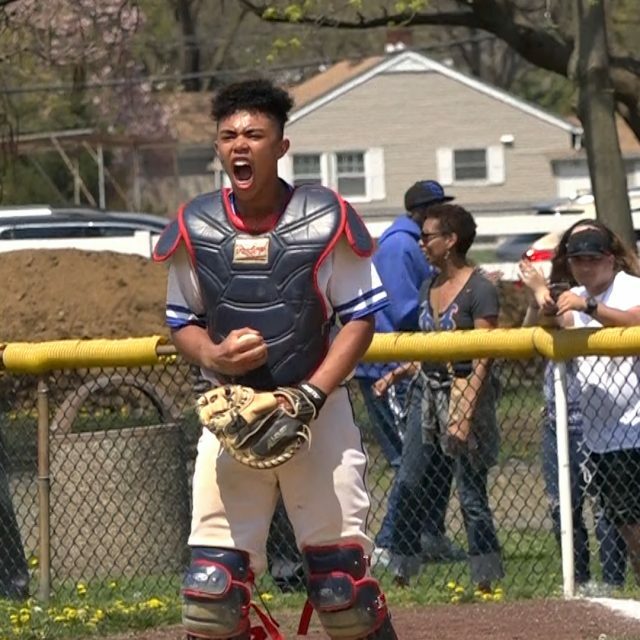 Hartshorn found net four times to advance Allentown to the Mercer County Tournament final to face top seed Lawrenceville on 5/8 at West Windsor- Plainsboro North. 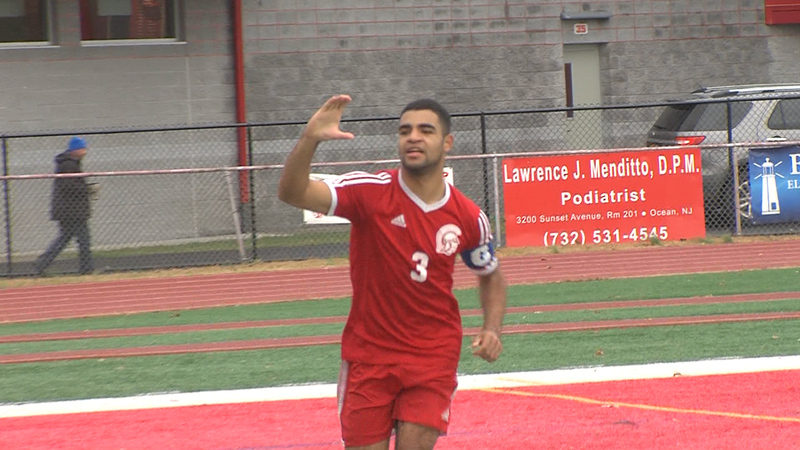 Watch the highlights now: Lawrenceville 15 Princeton 7 – Mercer County Semifinals Girls No. 1 seed Lawrenceville has punched a ticket to the Mercer County Tournament Championship after a 15-7 win over fourth seed Princeton. Big Red was led by Georgetown bound Annabelle Albert who scored 5 goals. 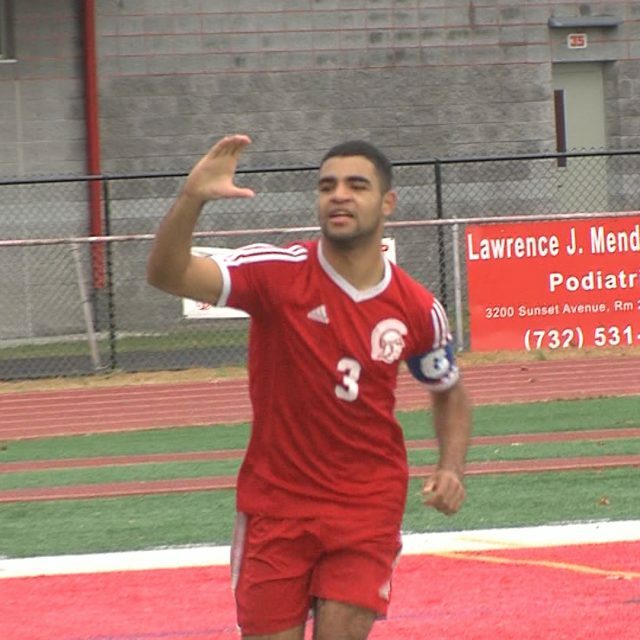 The title game will feature a rematch between Lawrenceville and No. 2 Allentown, the first meeting was an 11-10 thriller with the Red Birds falling just short at the end so expect some physical action on 5/10. Watch the highlights now: Sponsor! Thank you to Princeton Orthopaedic Associates for sponsoring our Allentown, Notre Dame, Lawrenceville and Princeton coverage all year round on JSZ!! Colts Neck 11 Wall 8 – Monmouth County Tournament The #16 seed pulls off a stunner thanks to a four-run seventh inning. Colts Neck plated six runs in the top of the third to take a 7-1 lead. Wall answered with a seven-run 5th to go out in front 8-7. 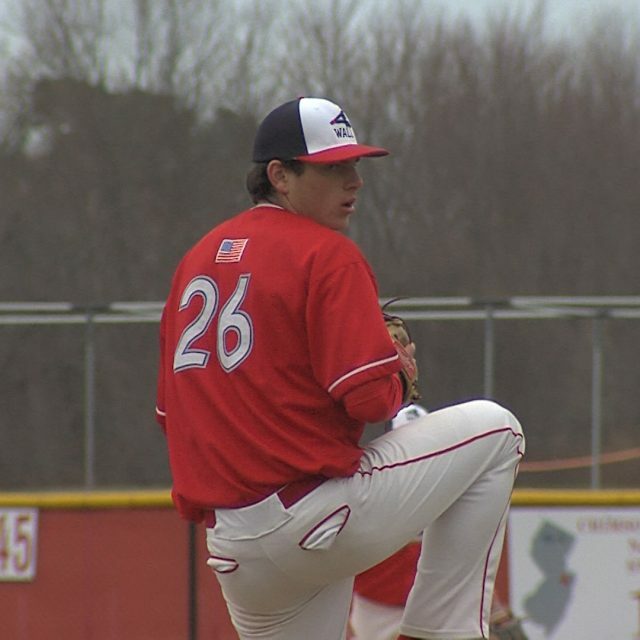 Colts Neck was able to get a bases-loaded walk, an RBI groundout and a big two-run single by Adrian Jimenez to hand the Crimson Knights just their second loss of the season. Colts Neck faces Raritan in the quarterfinals of the Monmouth County Tournament on Sunday. 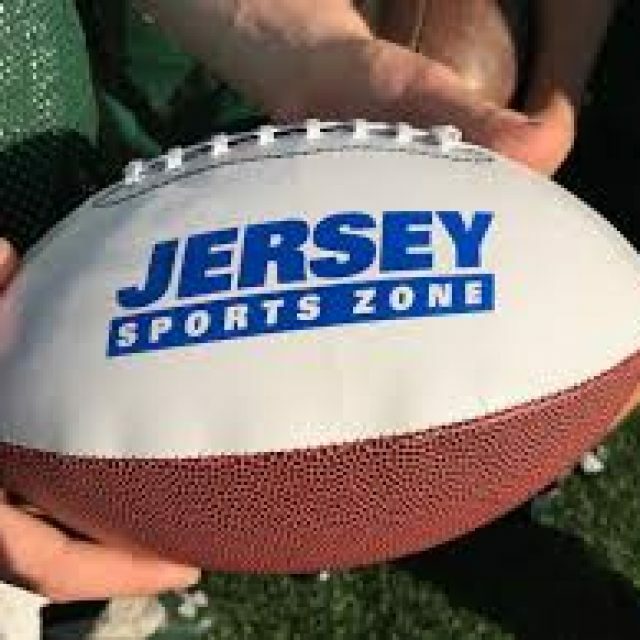 JSZ has the highlights of a huge win for the Cougars: Jersey Sports Zone was able to bring you a big moment for the Colts Neck baseball team thanks to the support of Hit Training! 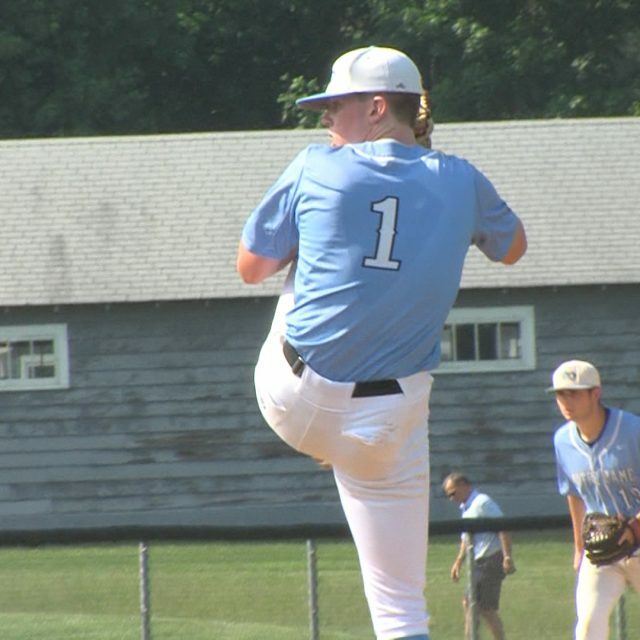 Middletown South 12 Howell 5 Trevor Brey had two hits and 3 RBI’s and Joe Sprake struck out eight in four plus innings on the hill to get the Eagles into the MCT quarterfinals and a Sunday showdown with #2 seed CBA. 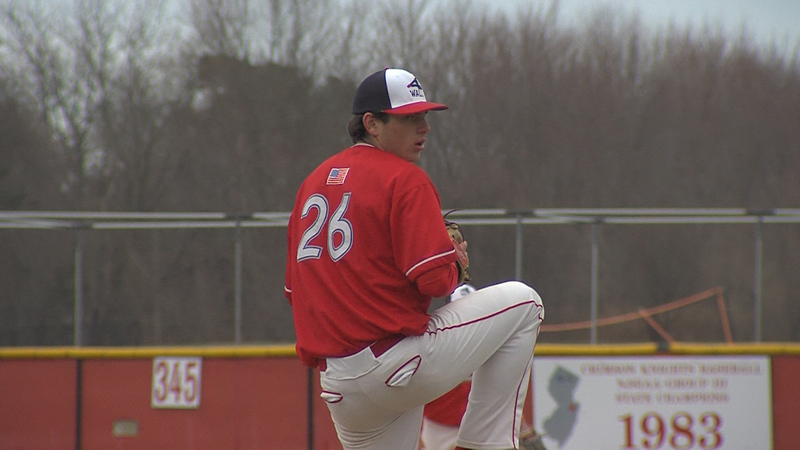 JSZ has the highlights of the Eagles eighth win of the season: A special thanks to Prown’s Windows & Doors for allowing us to provide great coverage of Middletown South sports all year long Trenton Catholic Academy 6 Hudson Catholic 1 With the baseball season coming to a close shortly, the home stretch will be crucial as the Garden State prepares for tournament time. 11-3 Trenton Catholic Academy came into Saturday’s match up with 10-2 Hudson Catholic with more on the line than North vs. South bragging rights. It was the Iron Mike’s fifteenth game so that meant the cut off for power points towards their state tournament seeding. TCA got on the board first with a fielder’s choice in the first to go up 1-0. In the the third the Iron Mike’s opened up with a 2 RBI blast from Andy Jacquez to eventually take a six-run lead. They were headlined by ace pitcher Latrell Reid who allowed nine hits and just one earned run to take down Hudson Catholic 6-1. When Hudson plays their fifteenth game Trenton Catholic could be looking at up to 40 power points from the game. With the Mercer County Tournament starting next week this extra boost of momentum could be what TCA needs. Watch the highlights below: Sponsor! Thank you to Princeton Orthopaedic Associates for sponsoring Trenton Catholic coverage on JSZ! 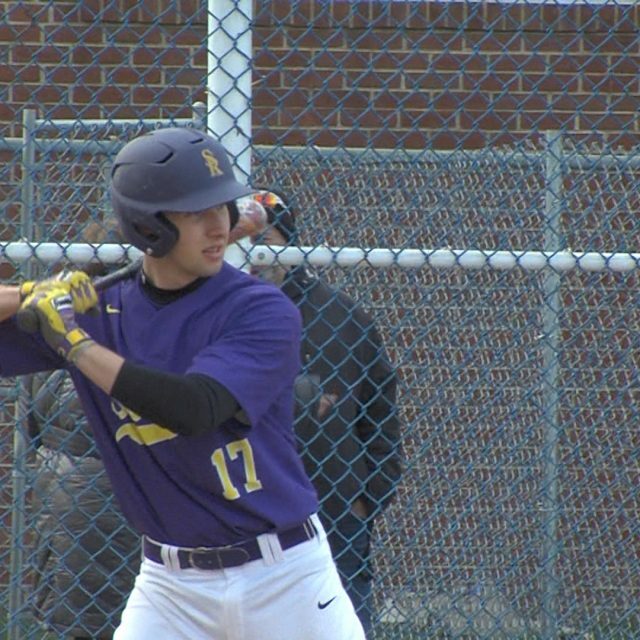 Watch 4.10 JSZ Baseball Highlights! 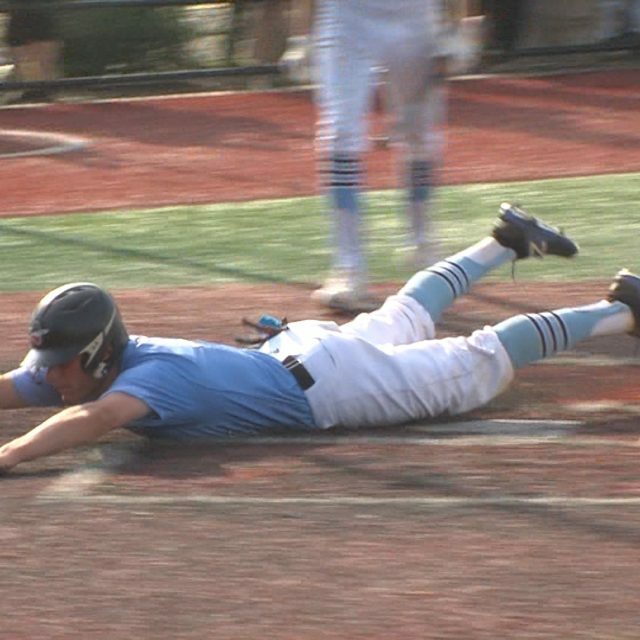 Watch MCT Baseball Tournament Highlights! 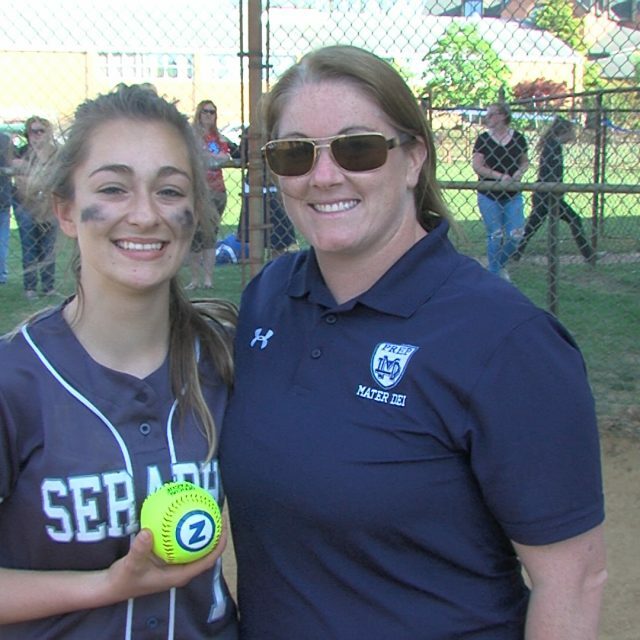 SSZ Alumni Update: Wondrack hits first college HR!